Campbell-Mithun, Inc. "Ac'cent Sales Film: The Honeymooners"
A comedic sales film for Campbell-Mithun, Inc.'s Ac'cent Flavor Enhancer product. 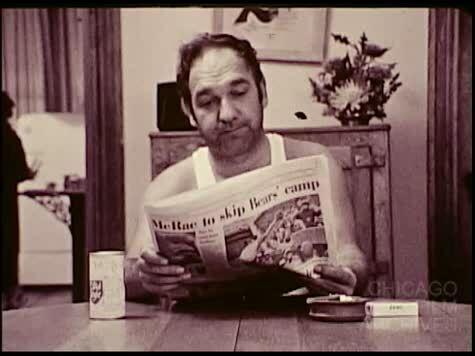 The film begins with a husband and wife duo separately lounging around their Chicago apartment, with the husband reading the paper and the wife staring out the window. The couple slowly comes together after hearing an Ac'cent Flavor Enhancer jingle over the radio. To illustrate this change in feeling, the film splices in footage of the couple running towards each other in slow motion followed by scenes of fireworks.